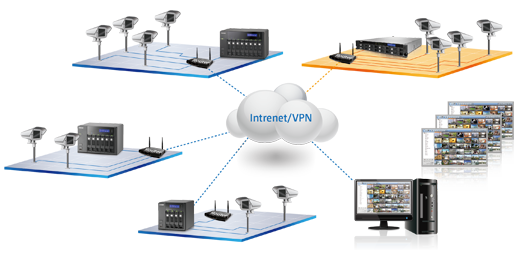 The QNAP VS-8140U-RP Pro+ VioStor NVR (Network Video Recorder) is the high-end 2U chassis network surveillance server which supports high quality real-time video/audio monitoring, megapixel recording (up to 10-megapixel), and playback of multiple IP cameras. The VioStor VS-8140U-RP Pro+ can simultaneously handle inputs from up to 40 megapixel cameras. Featuring a powerful dual-core Intel® Core™ i3 processor and 4 GB of DDR3 memory, this enterprise-grade NVR delivers high performance with throughput of 400 Mbps for recording and smooth playback of multiple megapixel cameras. Moreover, the HDMI output and hardware decoder of VS-8140U-RP Pro+ provide the ability to deliver up to 300fps Full HD local display. In addition, when installing with the currently largest 4TB hard drives in the market, the VioStor VS-8140U-RP Pro+ supports up to 32 TB storage capacity, which makes it proficient for continuous recording of high-resolution video. 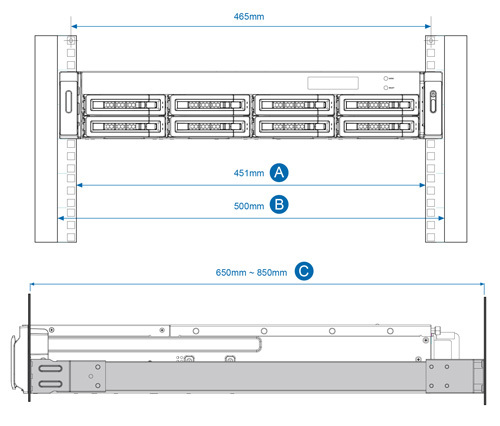 The Linux-based VioStor VS-8140U-RP Pro+ enables quick and easy deployment of multiple NVRs. It is designed with the user in mind, offering simple and intuitive setup in six steps. Coupled with powerful performance and stability, this solution is tailor-made for enterprise surveillance needs.